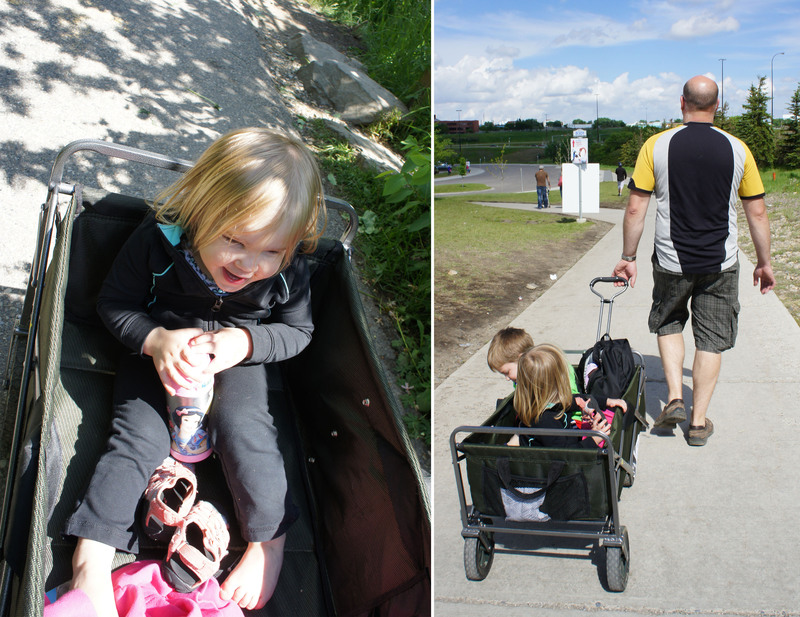 No, it is not the adorable kids, but rather the handy little wagon I have been using to transport them and all our things around in this summer. 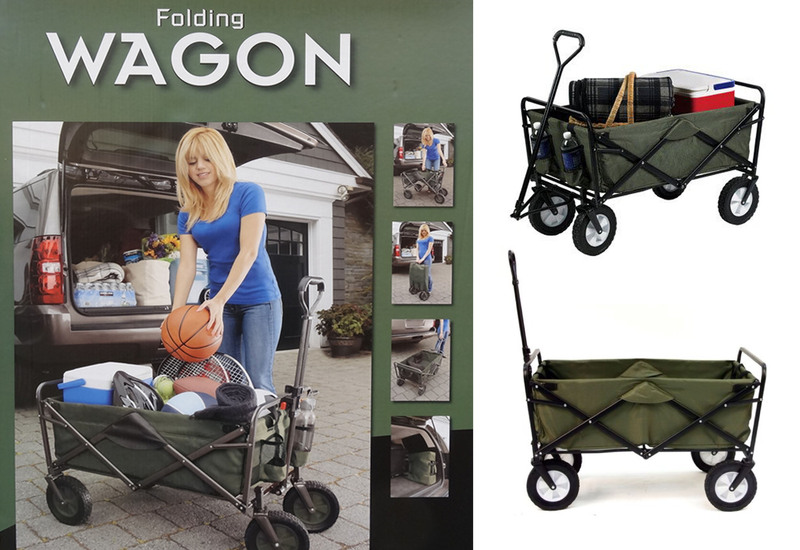 I first read about the folding wagon from Costco on an internet forum and don’t think I would have really noticed it in store otherwise. I was not on the hunt for a wagon, and the outside of the box pictured it used as more of a utility cart then a children’s wagon so I would have never thought it would be comfortable enough to pull the kids around in. We already own a plastic Step 2 wagon, so I hesitated to buy this one, but decided the folding style might be easier to throw in the back of the vehicle for day trips or for camping when we get back into it. At 2 and 4, my kids are just about out of the stroller stage but still get tired when there is a lot of walking involved. Add on the diaper bags and coolers I usually end up lugging around and a wagon becomes a definite necessity. And folding it up couldn’t be easier – I simply grab the toggle handle in the middle of the wagon and it folds smoothly on itself. After fighting in parking lots to open and close strollers over the last few years, this is a very welcome feature! 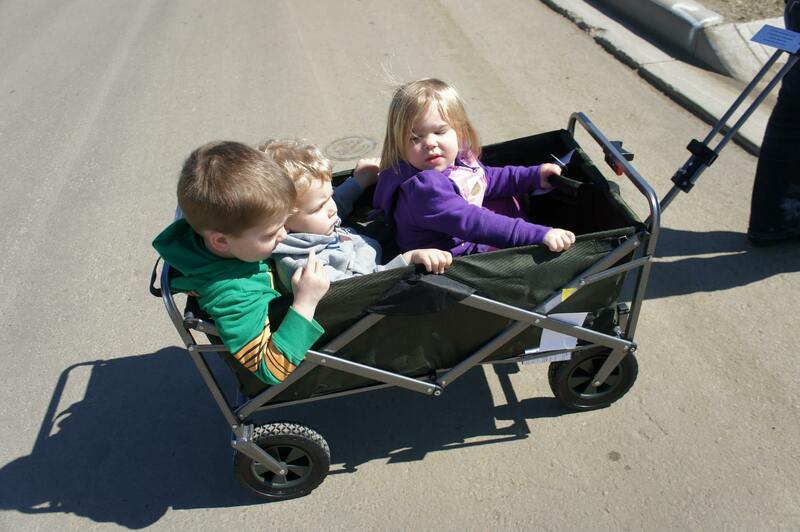 Our wagon has already made numerous trips to the beach, playgrounds, the zoo and splash parks this summer. 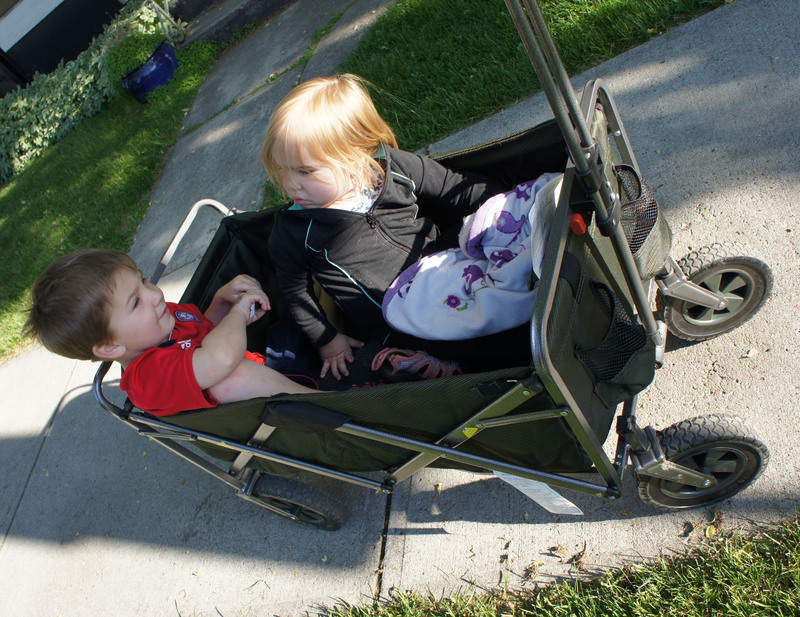 At around $60, the wagon has ended up being one of our better purchases. When I am stopped by people to ask about it, I always feel bad telling them that we bought the wagon from Costco back in April and there is no chance they’d be able to get one now. It does seems to be something Costco gets in every year so definitely keep an eye out come Spring if you are wanting one – and believe me, you probably do! 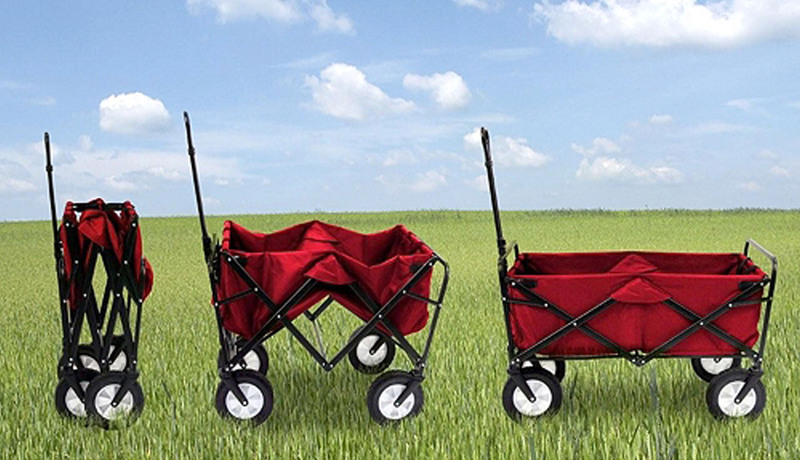 And if you just can’t wait, Canadian Tire does carry this folding Broadstone Wagon at a slightly higher price tag. From what I saw of my neighbour’s, it does seem to fold a little smaller then the Costco style, but I am not sure I love that the bottom is a separate piece that needs inserted and removed each time you fold. I hope this helps! We still absolutely love ours. We just got back from camping and it got used on hikes, trips to the beach and even to haul our fire wood back to the campsite.